There are some people who were just born to do a particular job – and Boz of Carite Auto Repairs is one of them! Even when he was a kid, there was nothing he liked better than pulling his bike apart and putting it back together again. Sure, the improvements he made may or may not have been necessary – but that same passion for tinkering has made him one excellent mechanic. For Boz, getting to work on cars all day in sunny Warana is a dream come true, and he can’t wait to get into the auto shop each morning. But he also knows that most people don’t feel the same way. 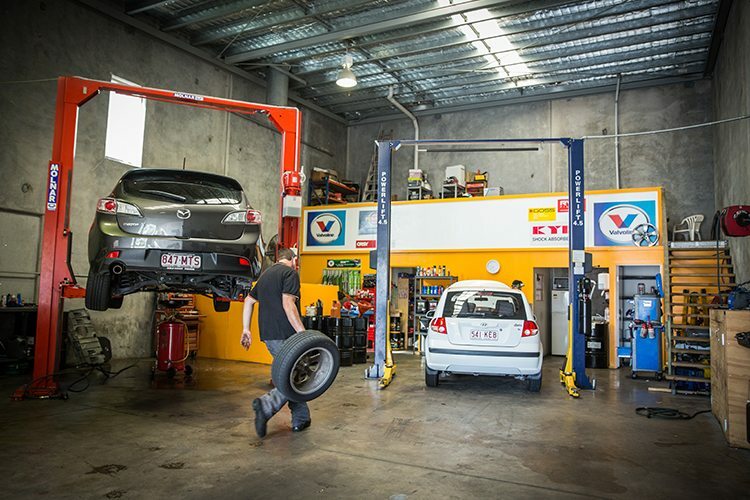 With a lot of auto repairs shops signing you up for extra services, throwing around technical jargon that you can’t understand until you get the bill – and then hit the floor at the cost – it’s little wonder that the industry has a rather shaky reputation. So Boz has set out to turn all of this around, with his policy of “we fix your car right or we fix it for free”. With his commitment to honesty, reliability and quality workmanship, Boz is using his lifelong passion to help people by simply doing what he does best. We had a chat to Boz and his team, and found out how they’re changing the auto world one small job at a time.